I want trendy earrings as many as possible…. Recently large pearl backs are trend. You want double cotton pearl earrings, but at the same time, the combination of Swarovski crystal stud earrings and large cotton pearl backs is also attractive. 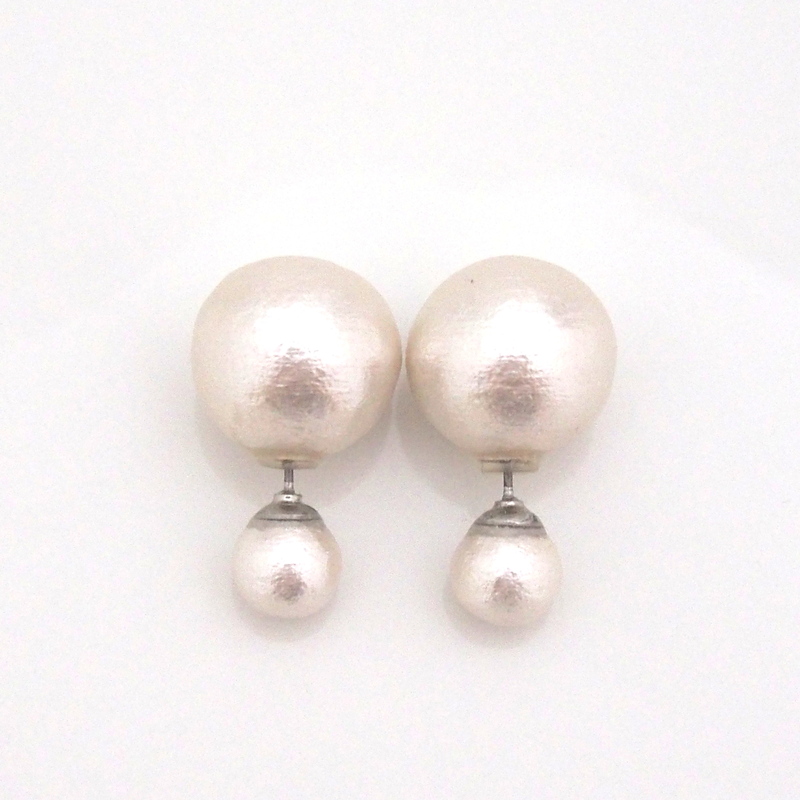 And also you want to try 16 mm large cotton pearl earrings. It is hard to pick up one of them. Don’t you want to have all of them? Yes, it is possible with this set. Trendy and Valuable double cotton pearl earring set! You can wear these for 4 patterns! When you have a plan for elegant occasions such that valentine’s day dinner, your friend’s wedding and parties, you want to have some trendy and stylish jewelries, don’ you? And you want to wear different jewelries for every occasion. But you cannot afford to buy 4 or 5 pairs of jewelries at the same time, can you? If you have earring set which can be wearable for 4 way, it would be wonderful, isn’t it?